← Don’t you just love fall? Despite the fact that I posted on my Facebook Page that I was going to post about our first Autumn up here in the Pacific Northwest, I’m not. 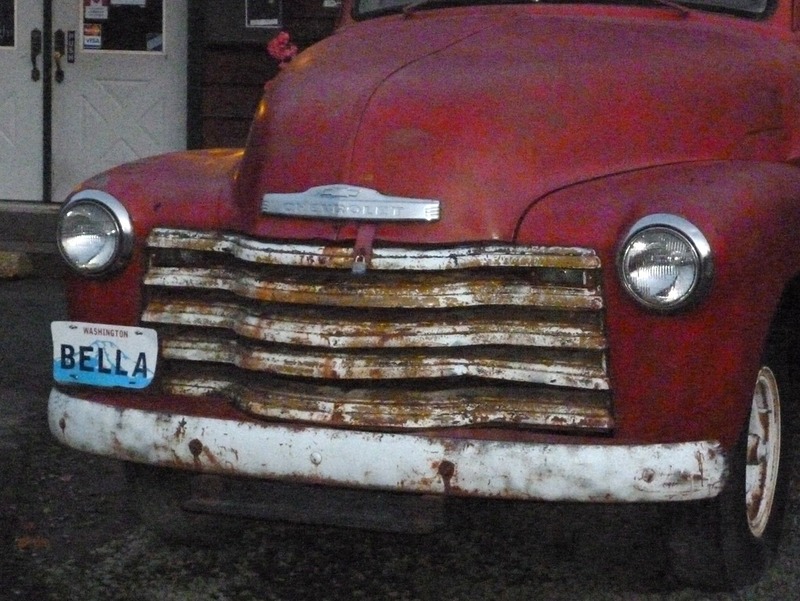 I leave you with this photo of a cool old truck I saw parked up in Forks a few weeks ago. It’s not the best shot…I was using my point and shoot and the light was fading as it was twilight. This entry was posted in Random stuff and tagged Bella, Forks WA, truck, Twilight. Bookmark the permalink. Hope whatever you are getting goes away quickly! Uh oh! Take some Zicam quickly!!! And the rest and liquids should help, too. Feel better soon! !